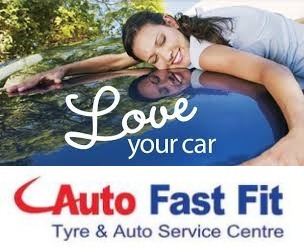 Welcome to AutoFastFit.ie - Motor Factor, Tyre Center & Independent Garage Specialists since 1968. Pearse Road, Letterkenny, Co Donegal, Ireland. AutoFastFit is a family run business, that's been selling car parts and tyres since 1968. With three generations of knowledge you can rest assured we know our industry very well. We love what we do and take pride in advising our customers with the best options for value and safety. We only sell quality car parts made by original equipment manufacturer's, OEM Parts, which gives you the best product quality available and does not affect your cars manufacturers warranty. We sell retail, trade and also fit parts in our own workshops. We have an eight bay workshop with a professional team of mechanics. We sell online with confidence as we know everything there is to know about cars and car parts. We will choose your parts and guarantee that we'll pick the right parts first time. You have no need to worry about choosing from multiple options, we list just a small range of our best sellers but can provide 'any part for any car'. Just get in touch and we will select your direct fit part first time and dispatch the same day. We offer excellent warranty terms on all our parts, and our 'no quibble' terms will reassure you of our commitment. We are a MICHELIN Accredited Tyre Center and specialise in MICHELIN and BF GOODRICH TYRES. We stock a large range of tyres from 13" to 19". We pride ourselves in being Michelin's main customer in Donegal and the North West,with customers travelling from other counties to avail of the excellent Michelin price point. Not only to we fit here but we also ship tyres direct to customers across Europe. We are also long standing members of the SIMI (The Society of the Irish Motor Industry). Please feel free to call us anytime from 8am to 6pm Monday to Friday, and 8am to 3pm Saturdays.